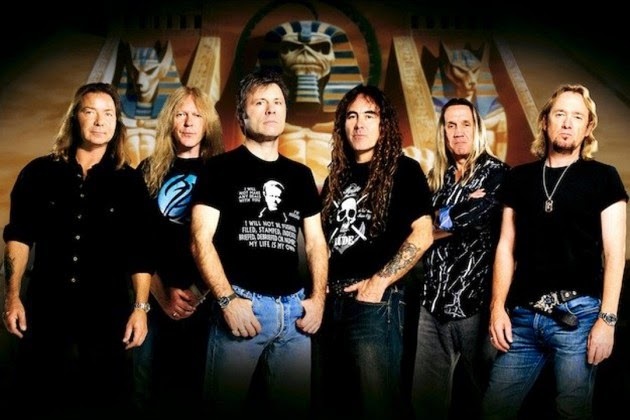 Parlophone Records announced that 19 Iron Maiden albums have been remastered especially for iTunes. Steve Harris said: "The Mastering For iTunes procedure allows the listener to experience the music as close as possible to the way the artist intended it to be heard. So, of course, I was very keen for the Maiden albums to be mastered in this way. The records have been available digitally before, when this medium first became a platform for music distribution, but that was mastered with CDs in mind. The iTunes process involves a different approach and it's great to finally deliver the music to our fans in as close to a pure and accurate sound as we could possibly achieve. For example, as most people know, I was never really happy with the sound on the first Maiden album, but listening to it now, the guitars are louder, the drums more substantial and the overall tone is so very much improved, in my opinion. Tony Newton and Ade Emsley, who worked closely with me on the project, did a terrific job recapturing everything from the original masters, and together we've re- mastered them all digitally and I'm really happy with the results." Albums are available now on iTunes.